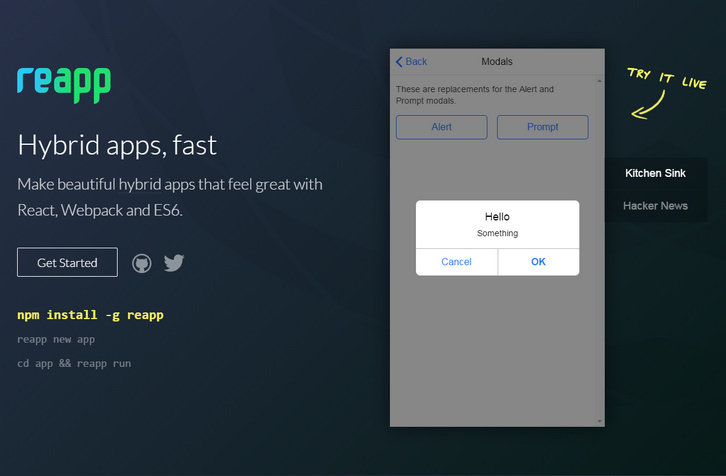 Reapp helps you make beautiful hybrid apps that feel great with React, Webpack and ES6. Reapp isn’t a framework, it’s just a collection of packages that work well together. On top of that, it’s a CLI that does exactly three things: Creates a new app for you, Runs a reapp-structured app, Builds a reapp-structured app into ./build.